UM25, Large diaphragm condenser tube microphone from Blackspade. Following the UM17 microphone, Blackspade asked AMI to create a second large diaphragm condenser microphone for their line of microphones: Inspired by the Ela M250/251 microphones comes the Blackspade Acoustics UM25. 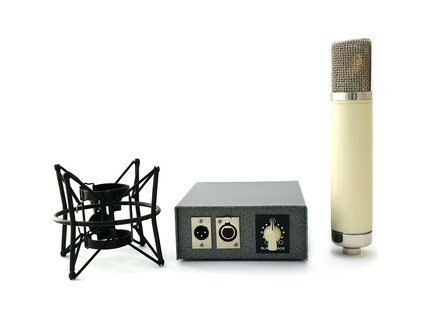 With the help of a capsule manufacturer in Asia, Blackspade custom-created the CK25 especially for the UM25, based on the original historic Telefunken blueprints. The capsule is said to still produce the distinct sound of the resonator plates found in the historic CK12 capsules. The porting has been enlarged and the thickness of the backplate slightly enhanced to offset the slightly different resonator design, the company says. According to Blackspade, the result is a split dual backplate design that is edge fed with a resonator that can be made for a more reasonable cost than the original CK12 design without straying too far from the classic 251 tone. In the Blackspade UM25, the polarity patterns are produced the same way as in the historic 251; a triple pole triple throw switch, that is remote controllable from the PSU. This is designed to give the UM25 a brilliant sound in the omni setting, a strong vocal set up in cardioid as well as a figure of eight pattern with a minimum of noise and maximum of sensitivity, the company says. To pair with the new CK25 capsule, Blackspade selected a Telefunken NOS tube capable of driving the tone into the area of the classic 251. The tube is designed to be nearly identical in tonal response to the historic 6072a that was used in export models of the 251, and a 6072a can be swapped in without any modification. The amplifier circuit is a replica of the one used in the historic 251, and is handmade in the same spirit on plexi-glass boards with point to point wiring. The AMI T14 transformer ties the whole ensemble together. While the UM25 shares the same body tube, bottom bell and power supply housing as the UM17, everything else about the mic is different, Blackspade says. The head basket is constructed like those of the historic 251 microphones, providing a different filtering response than the UM17. The finished result is the Blackspade Acoustics UM25, designed, assembled and tested by AMI. Elysia Alpha Compressor The TDM version of the alpha compressor plugin is now available as a free upgrade to your existing license. 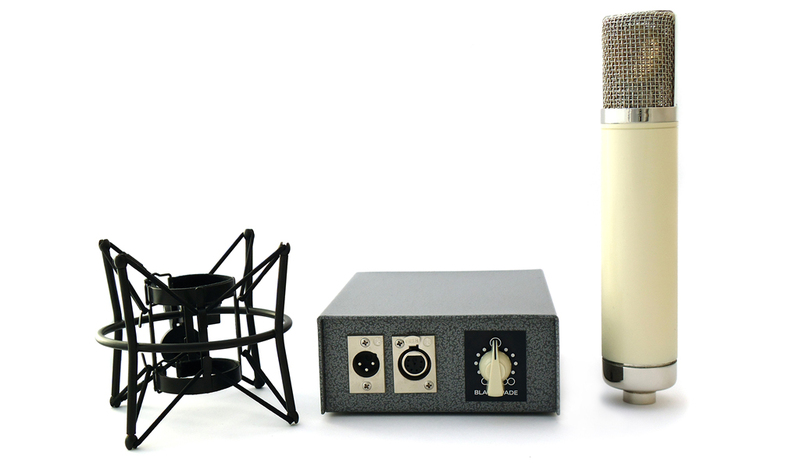 JZ Microphones Michael Wagener Kit JZ Microphones introduces a special Michael Wagener signature microphone kit, consisting of two microphones; a BT-201 small diaphragm cardioid condenser and a limited edition BT-301 medium diaphragm condenser.